Never Before on VINYL!!! 180g Vinyl with Deluxe Packaging! From the Original Master of Universal Music! Pressed at Pallas in Germany! As a child in rural Fyledalen in southern Sweden, Magnason would compose songs on the piano and dreamed of being a concert pianist. She broke off her composition studies at the Gotland Composition School in 2004 in order to learn by doing, and has developed a strong, personal voice: jazz/pop music with classical elements, and whimsical lyrics. Woman Travels Alone follows her début album Edda Magnason (2010, Caprice) and Goods (2011, Adrian Recordings). Her dedication evidently made an impression on Per Fly, the director of Waltz for Monica, the movie that changed her life. She started working on the album right after leaving the set almost two years ago, and her sudden fame has given her own career a significant boost. Without the success, she acknowledges humbly, she wouldn't have had access to the resources - the top-level professionals - which she has now. The same goes for the audience. 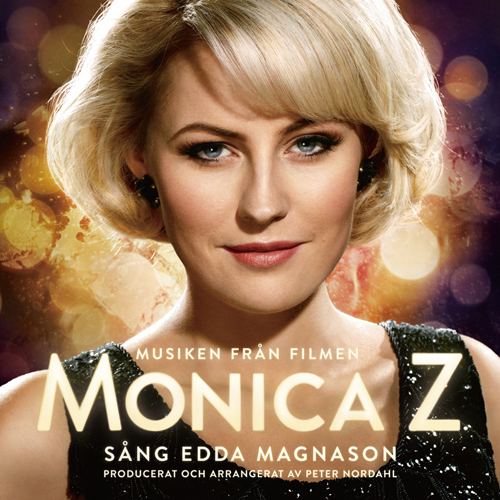 Waltz for Monica became the most viewed Swedish film in 2013, also scoring a Guldbagge (the Swedish equivalent of the Oscar statuette) for best actress. Why did it take so long to finish the album? Well, the media hype got in the way: a media hype nearly unprecedented for someone of her youth. This included being chosen as a Shooting Star at the Berlin Film Festival, which resulted in a contract with a Hollywood agency. Suffice it to say, there was very little time left to just be Edda Magnason, the singer-songwriter, during this time. Even more so while shooting the film. "I had no relationship to Monica Zetterlund's music before the film," Magnason says. Strangely enough, her mother gave her a CD of Zetterlund shortly before she was offered the role, accompanied by the words "I think you should listen to this." And so she did, soon spending all her time trying to imitate the legendary star. For those unfamiliar with Monica Zetterlund, this blonde, svelte jazz singer is associated with the Swedish artistic blossoming of the 1960s and 1970s. Zetterlund performed with American and European jazz greats such as Thad Jones and the Bill Evans Trio, as well as acting in cabarets and films with comedian team HasseåTage, controversial director Vilgot Sjöman and others. A string of love affairs and the difficulties of being a single mother weighed her down, and an intense career came to a halt when the singer became addicted to alcohol. The last days of her career Zetterlund performed sitting in a wheel chair, until in 2005 she succumbed to the flames of a fire in her apartment caused by a cigarette. Recorded on 180g heavy-weight vinyl to ensure quality sound, packaged in gatefold cover, and covered by premium protective vinyl outer sleeve. The 'Play 33 1/3 LP Series' is a 1st LP issue project of the masterpiece albums which have never been released on vinyl LP. The album cover and package created after months of graphic work and processes by hand enhanced its excellence and to ensure the record’s superb sound quality, the German MMP, who undertook the record production of EMI Germany and Universal, utilized a heavy weight 180g vinyl LP to contain the sound. Khiov who was in charge of the planning and production of many LP miniature series took charge of the album cover production spending 6 months to create a masterpiece. You will have a chance to experience great analogue sounds and to enjoy splendid artworks through the series. This project was highly scrutinized passing rigid testing at the factory in Germany. Even the performers themselves had not been able to put their hands on the LP version of their own albums as their home country had not produced them. The LPs produced by this project certainly have become must-have items by LP lovers all around the world. In the age where faster and more convenient is thought to be better, the increase in demand for the retro vinyl LP worldwide is clearly attributed to the satisfaction from the sound offered by analog products impossible to be replicated by CD and digital products and the delight of touching, feeling, and possessing this masterpiece-like large artwork. Furthermore, LP records have both rarity and history that increase their value over time and serve as an attractive factor for collectors.